Hours in Fall & Spring: M-Th 8:00 a.m.to 8:00 p.m., Fri. 8:00 a.m. to 4:30 p.m. Hours in Summer: M-F 8:00 a.m.to 4:00 p.m. 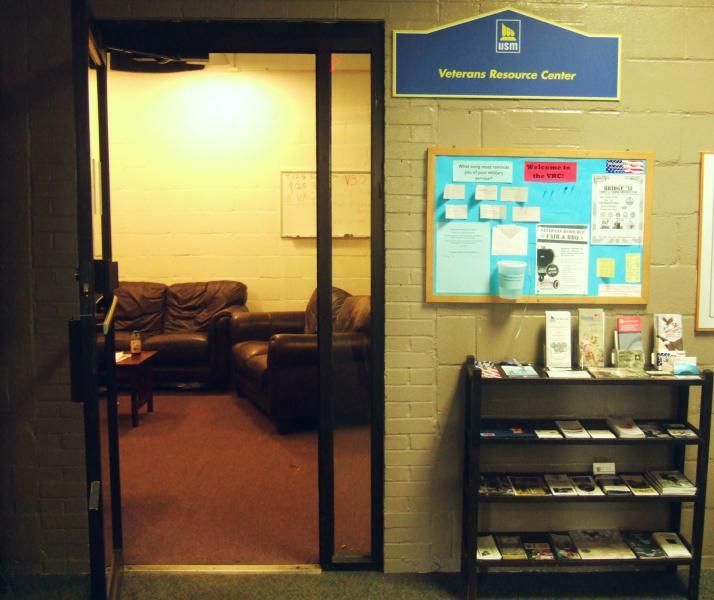 The Veterans Resource Center serves to support USM students who are veterans and their dependents as they transition from military life to the collegiate atmosphere. Staffed by VA work-study students, the VRC provides a safe environment to connect with other vets as well as a place to get information about services and resources students need to be successful at USM. A team member from the Portland Vet Center will be on hand Tuesdays throughout the Spring Semester. Stop by and get to know their wonderful crew! (Exceptions: Scheduling conflicts, Holidays, & Campus closures) For more information, please call the Portland Vet Center at 207.780.3584.